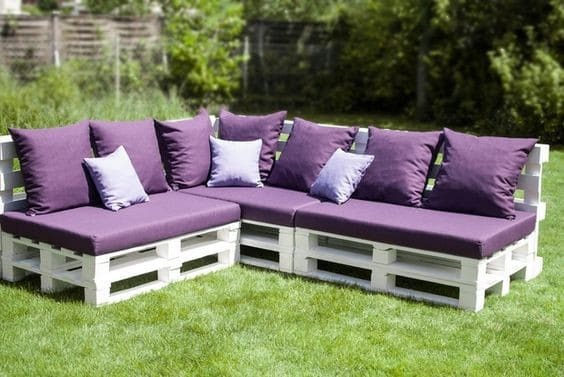 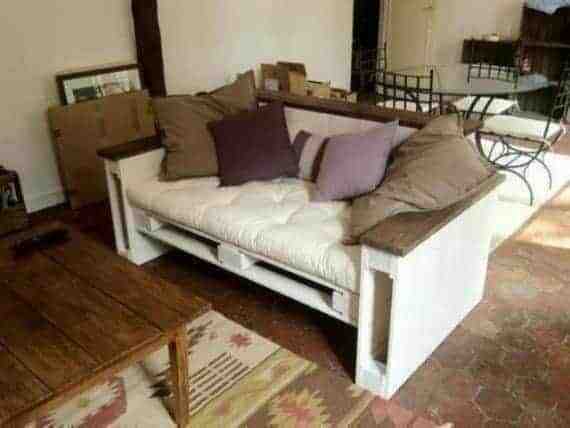 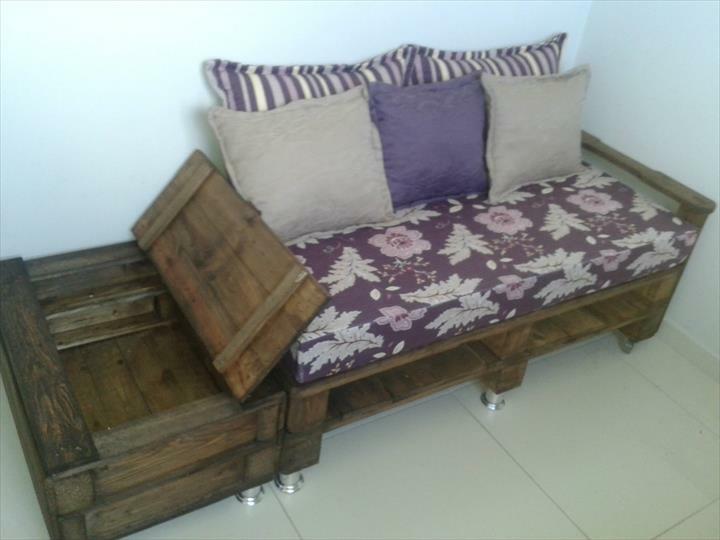 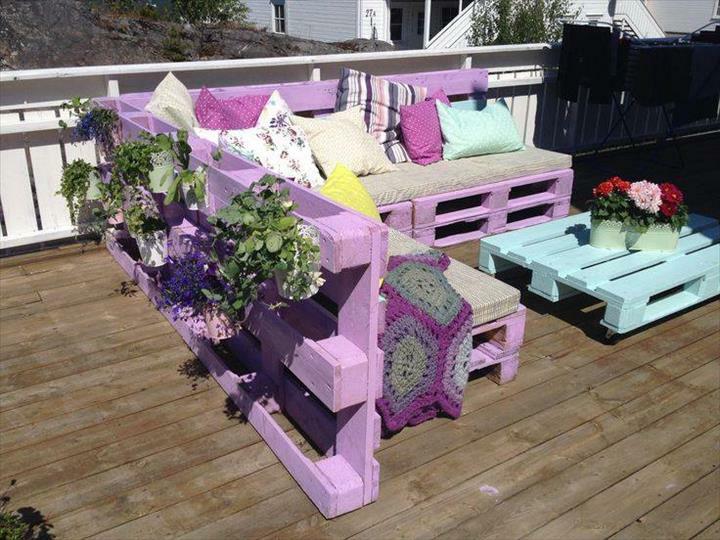 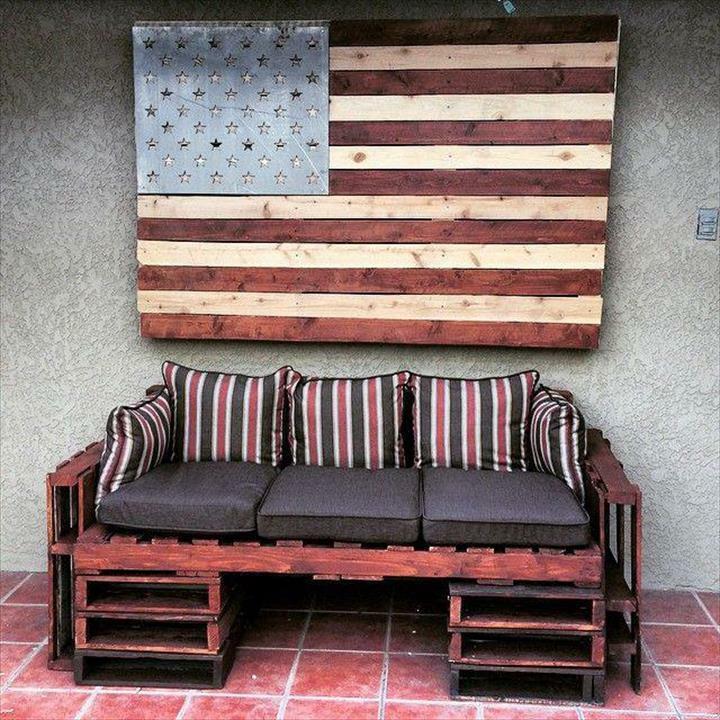 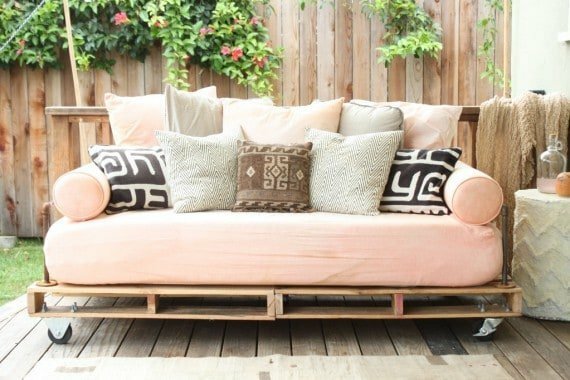 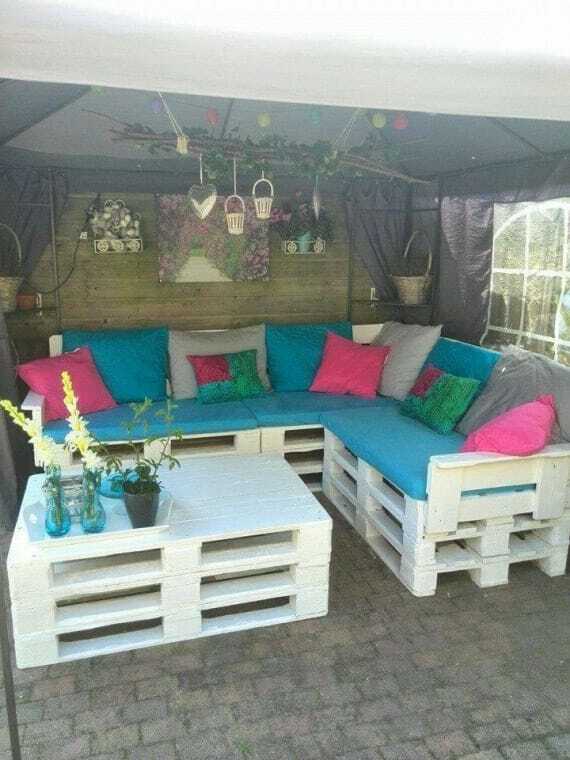 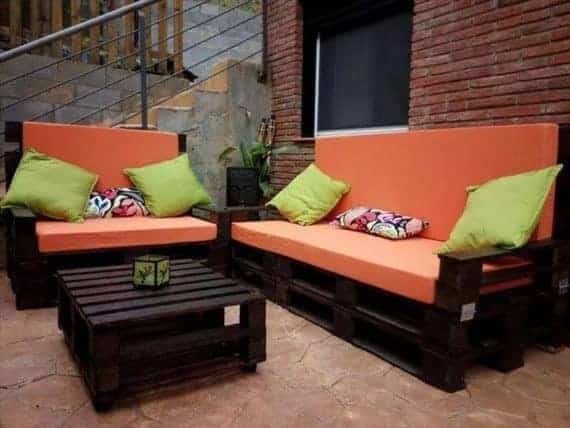 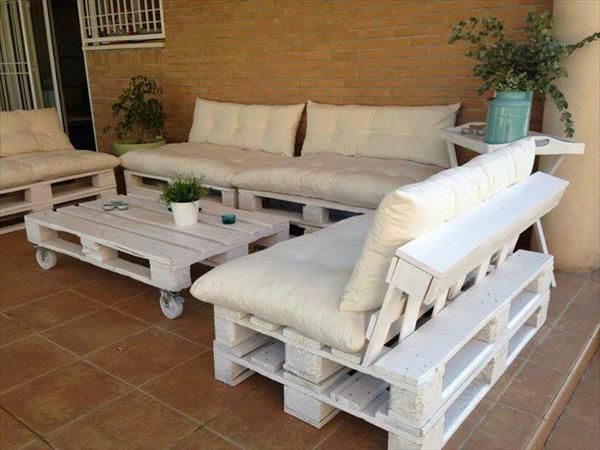 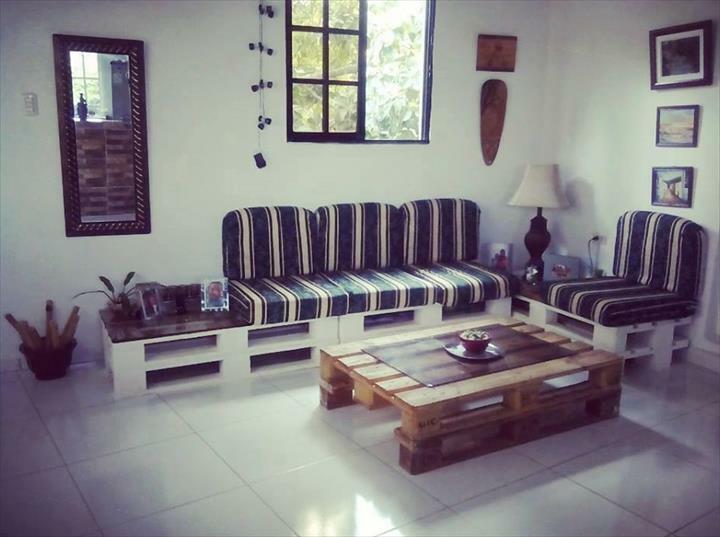 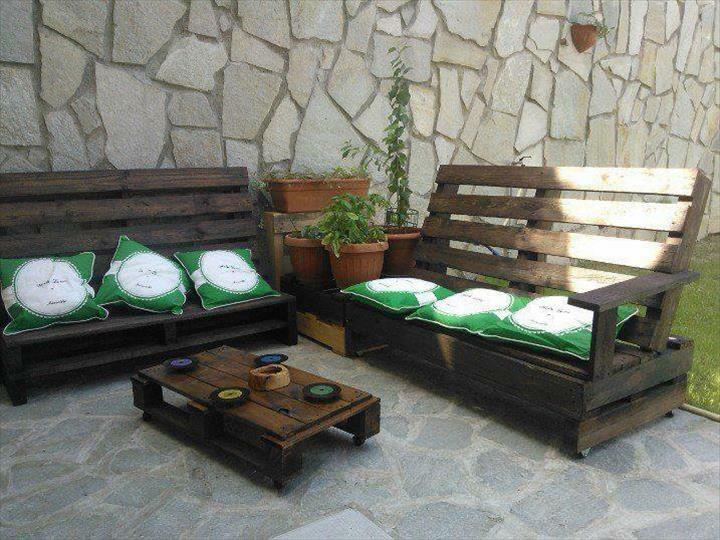 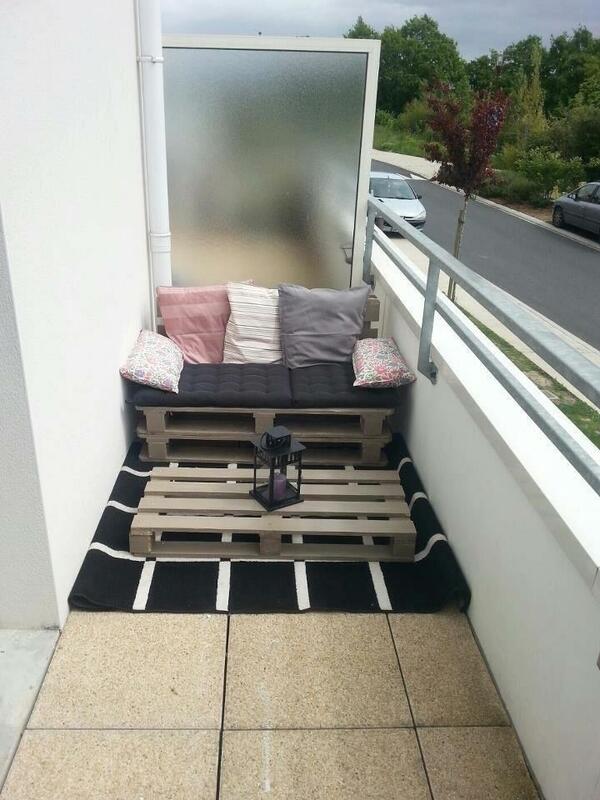 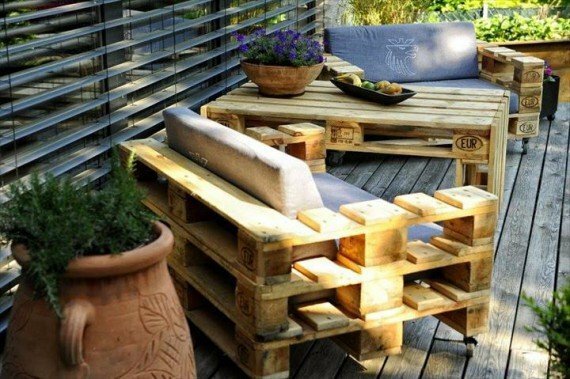 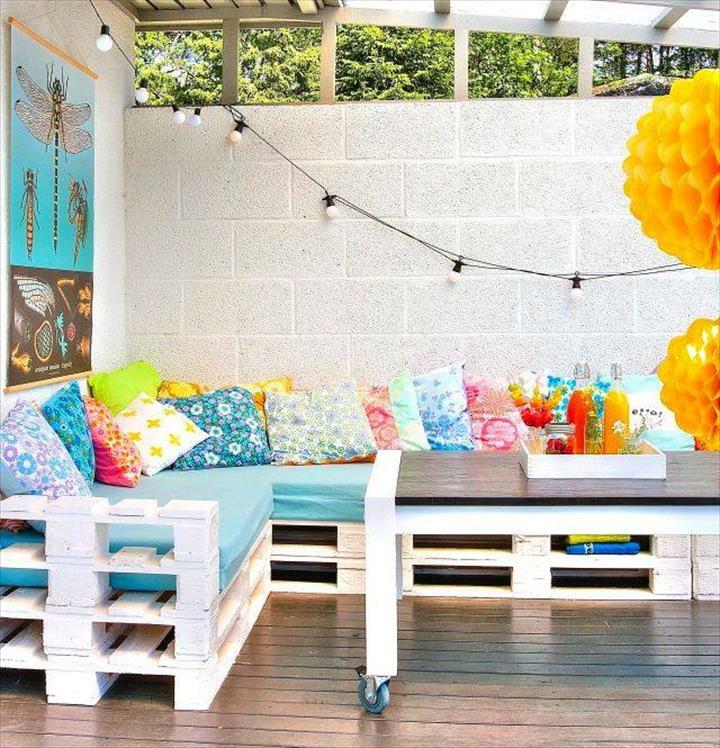 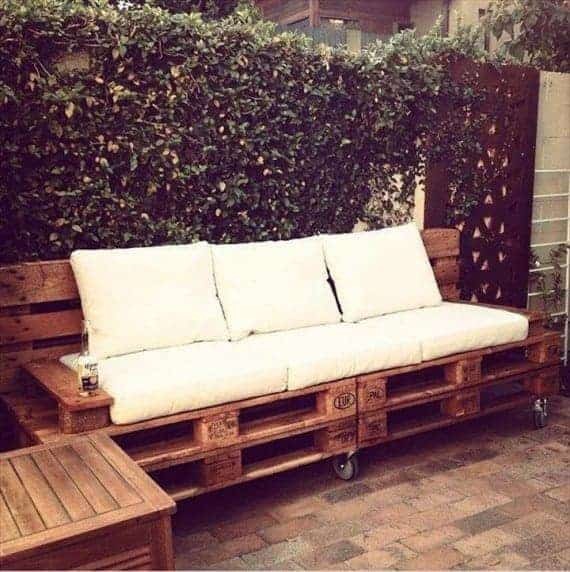 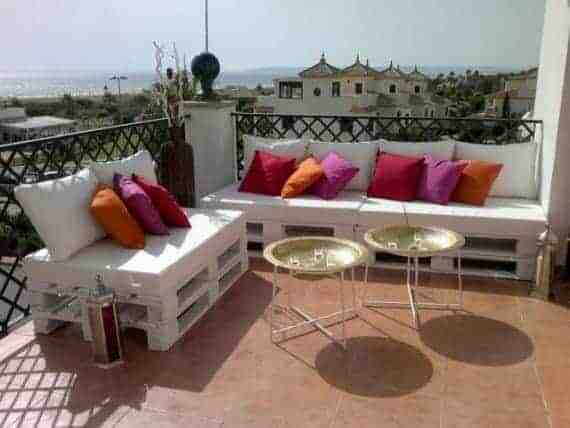 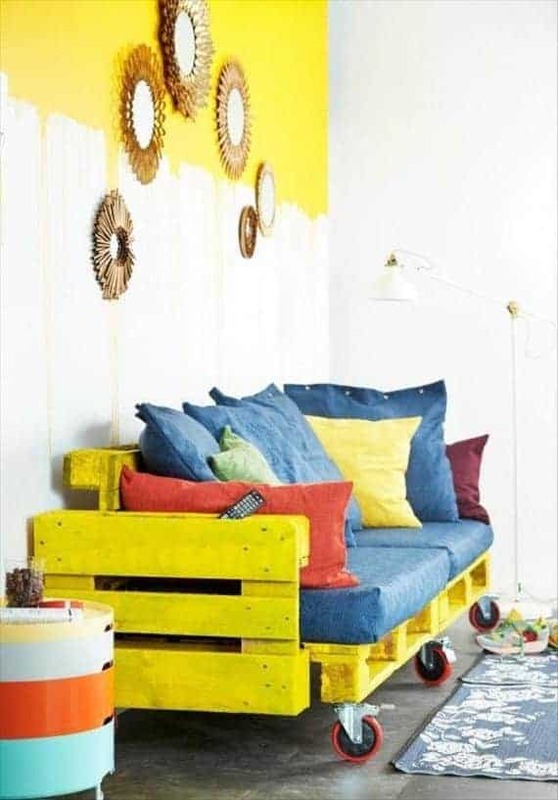 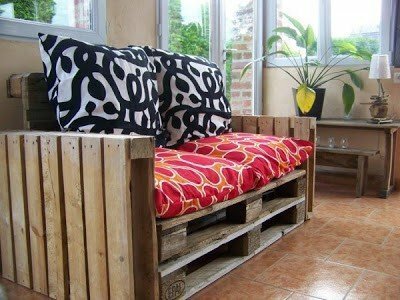 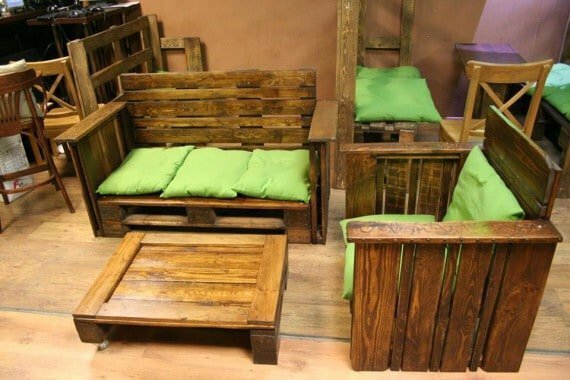 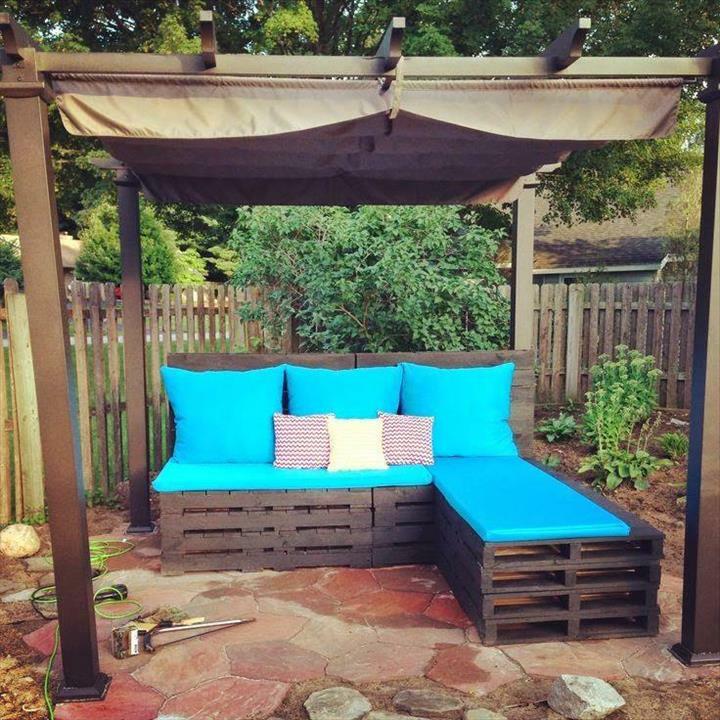 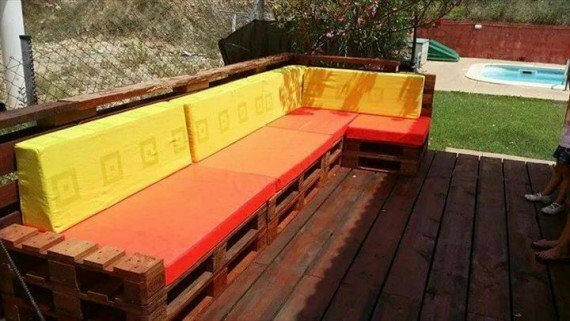 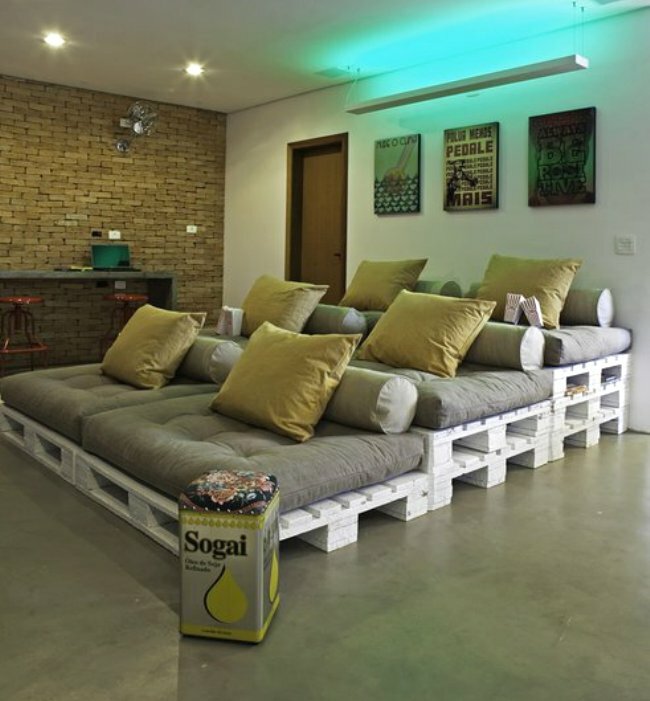 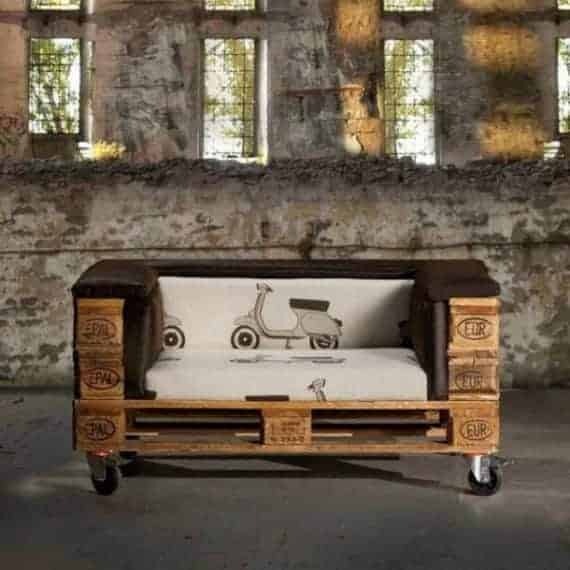 A section dedicated to Pallet Sofas And Garden Sofas. 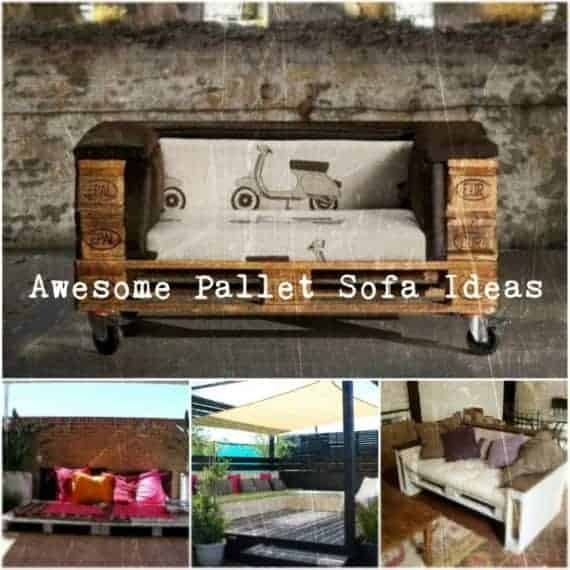 If you’re in need of inspiration have a look!!! 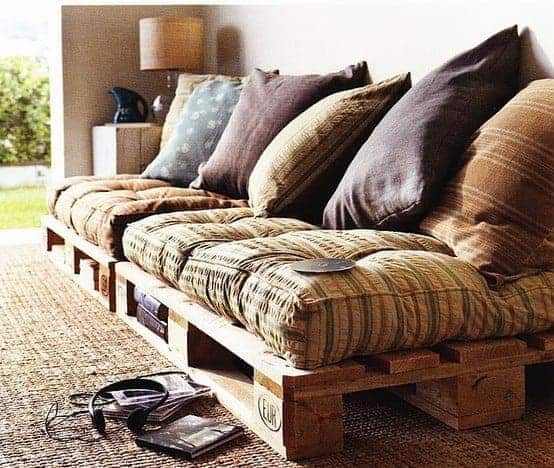 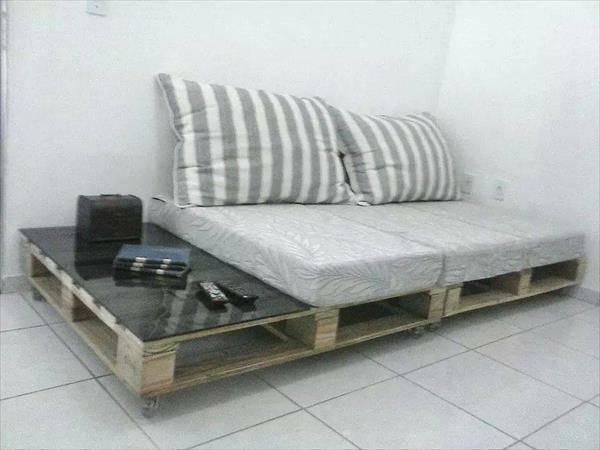 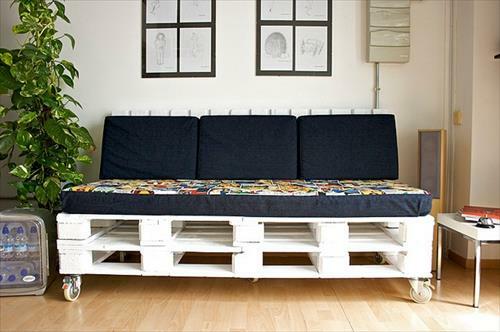 You can find different types of Pallet Sofas like L-shaped, stacked, low based, on wheels etc. 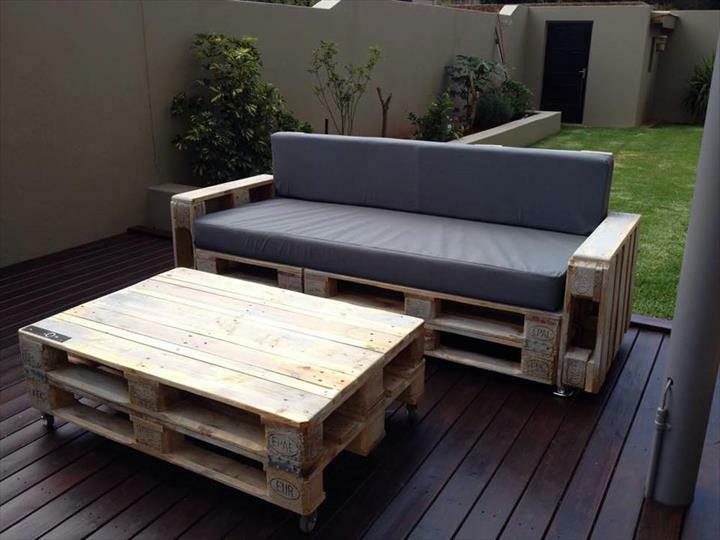 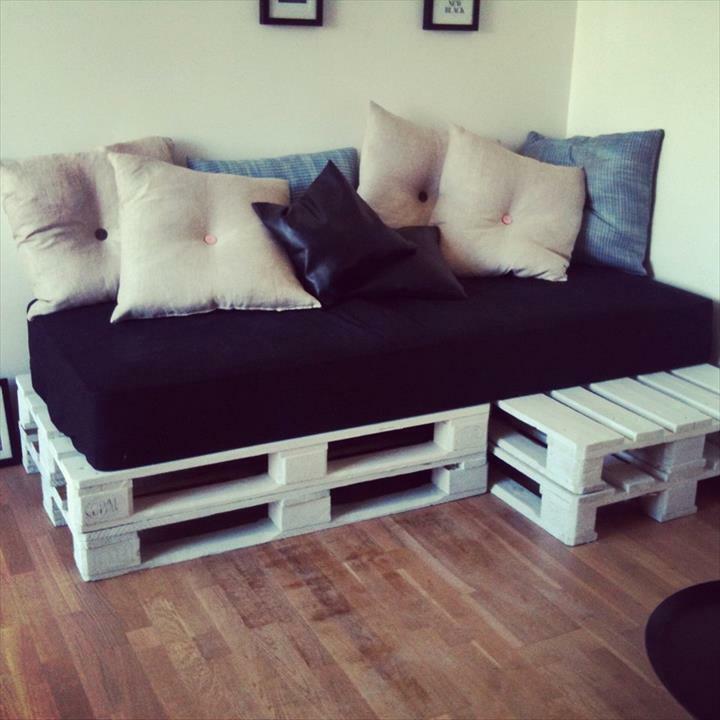 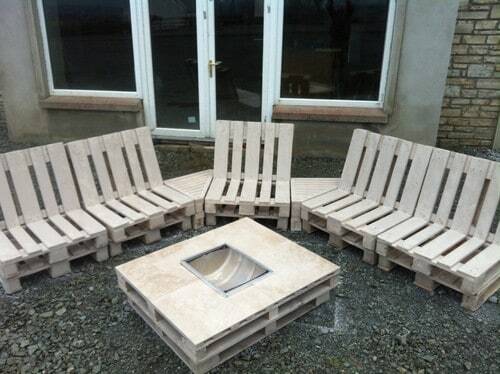 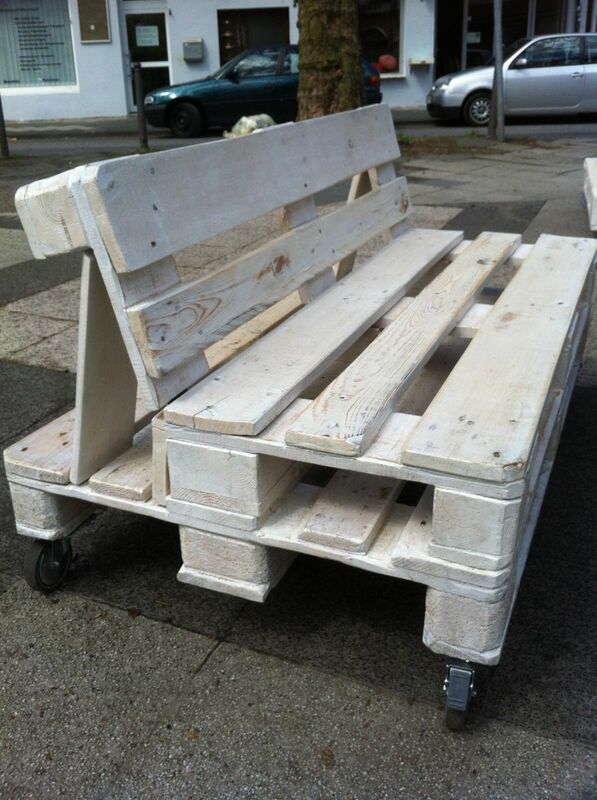 As pallets are very versatile you can adjust your project to your needs. 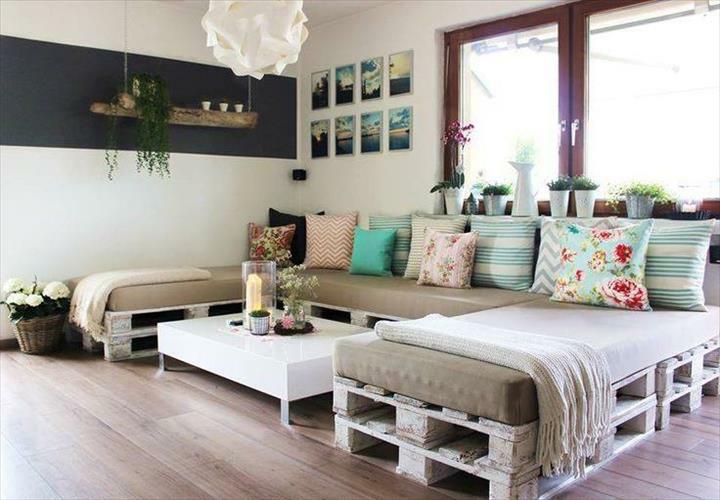 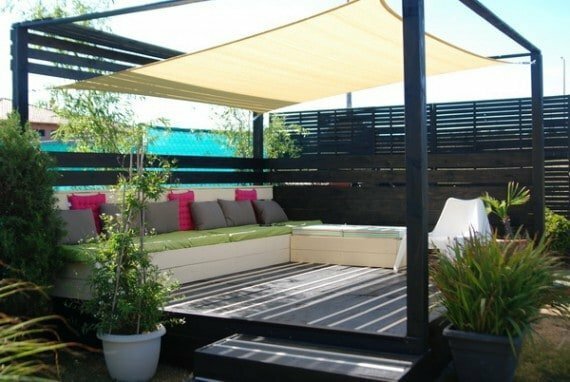 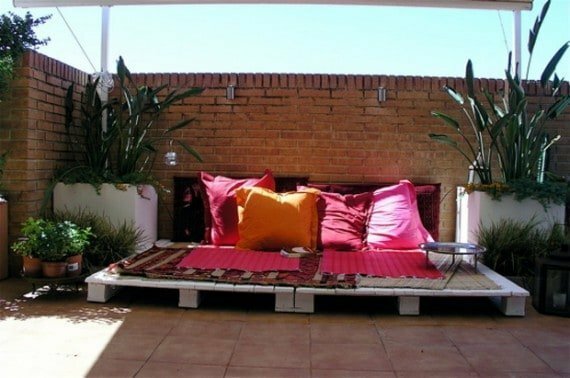 You can leave them bare or use mattresses, cushions to make sitting more comfortable and relaxing. 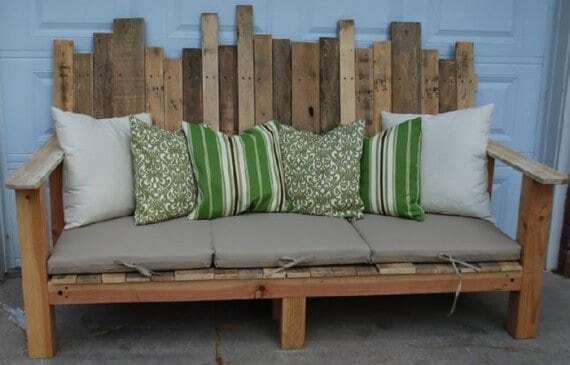 If you worried about leaving them outside in all weathers remember to use water resistant stain or wood paint for outdoors and use a waterproofing spray for cushions and mattresses.